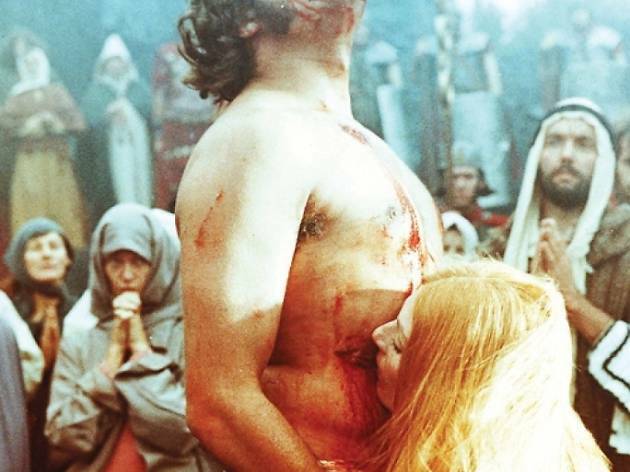 Russell's overwrought adaptation of John Whiting's play and Aldous Huxley's book The Devils of Loudun, full of much spiritual and physical writhing, is best approached as a diabolical comedy. No matter how thickly Russell piles on the masturbating nuns, tortured priests and dissolute dauphins, there's no getting round the fact that it's all more redolent of a camp revue than a cathartic vision. Derek Jarman's sets, however, still look terrific. This film rocks, just caught it at the Egyptian Theater in L.A. Ken Russell is diabolically gifted. You Brits should be worshiping him not making him clean your gardens at 80.